Last updated 18:00GMT, Wednesday 24 December. TODAY: busy on the roads around Paris today as drivers depart for Christmas, from 10:00 until 18:00 on A10; until 15:00 on A13 and 16:00-20:00 on A1 says Previ Trafic Vacances (started later than expected but almost exactly on script otherwise, see below). Expected to be quiet today in Germany. ‘Extremely hazardous’ driving conditions Finland (very bad 3 Helsinki-Tampere). Snow expected, some heavy, in central and north Sweden. Freezing rain earlier A1>Bern, Switzerland. CHRISTMAS TRAVEL: Eurotunnel runs 24/7 (sold out 24 December) but there are no ferries on Christmas Day. P&O: last sailing today, from Dover 14:25, from Calais 17:45. Resumes Friday, from Dover 07:40, from Calais 10:50. MyFerryLink: last sailing today 18:25 from Dover, 17:10 from Calais. Resumes Friday, from Dover 08:45, from Calais 07:30. DFDS: last sailing today Dover-Calais 12:15, Dover-Dunkirk 12:00, Calais-Dover 11:00, Dunkirk-Dover 14:00. Resumes Friday Dover-Dunkirk 10:00, Dover-Calais 12:15, Calais-Dover 11:00, Dunkirk-Dover 10:00. 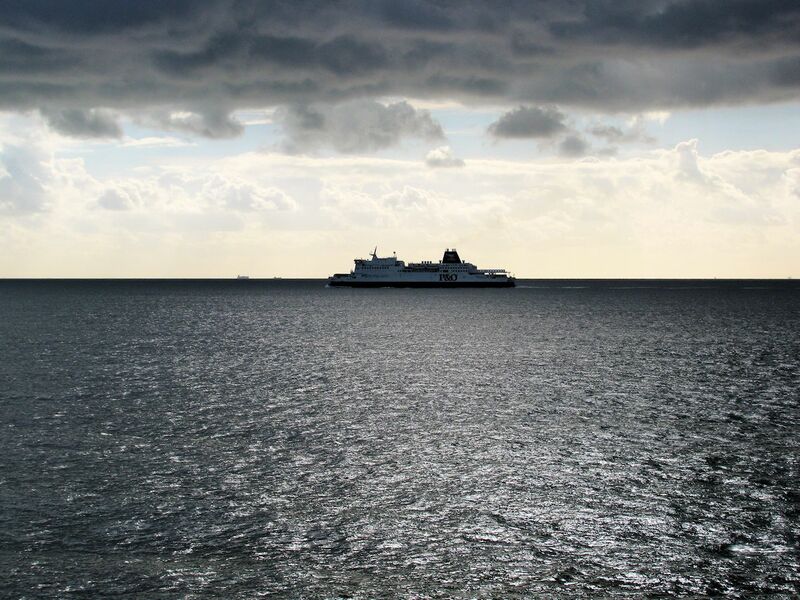 NEWS: bad weather expected English Channel 26-27 December says Condor Ferries. Light snow tomorrow with heavier falls mountain areas France at the weekend. Motorists in Padua north east Italy have been let of 112,421 speeding tickets by the local mayor for Christmas. All the fines were netted by new speed cameras installed eight weeks ago. Ansa news agency quotes Massimo Bitonci saying, ‘From next year, we will treat these seriously.’ Does that mean it’s a free for all until then?! CHANNEL DELAYS: Eurotunnel freight UK, busy, now 30mins wait before check-in. Transit time down to 2h30. Eurotunnel cars UK delay down to 30mins on terminal. WEATHER ALERT: amber alert heavy rain north west Germany, high winds east Germany, Poland, Slovakia, fog Montenegro, snow/ice Finland. WEATHER: unsettled North, fair South. MAJOR TRAFFIC DELAYS: A6b/A6 southbound from Paris, heavy traffic, earlier incidents, total delay still 45mins + A86 ring south Paris, clockwise, still 45min delay to A6b. A86 ring north west Paris, anticlock, accident Gennevilliers delay 50mins. A13 westbound from Paris, earlier accident Orgeval delay increased to 60mins. A1 northbound from Paris, accident Villeron delay 60mins. A1 southbound from Rome, ?heavy traffic, earlier incidents, delay down to 50mins. Earlier: now no delay A1 southbound to Bern. ← Teslas Drive Amsterdam to London Direct For Free But How Long Did It Take? Visitors to my house in Germany report serious delays during the UK return trip by car on 2/3 January. The Problem resulted from huge numbers of Eastern Europeans making the return trip to the UK after the Christmas period. Passport control was slowed down as a result and typical Eurostar delays seem to have been in the region of 2 hours.My brother returning from Spain by coach was delayed by 15 hours waiting for a ferry. While I accept that UK passport control on entry is probably of some benefit resultant delays such as these are just not acceptable and the authorities should be taking action to overcome the problem which is repeated several times a year at peak travel times on a regular basis. Failure to take action is probably placing lives at risk due to fatigue as a result of extended trip duration and does nothing for our Image as a tourist Destination. More complaints about this problem please. Do you have any evidence the delays were caused by ‘huge numbers of Eastern Europeans’?! On border force delays, we have spoken to them on several occasions following long queues at peak times. they won’t be moved, it’s as simple as that. Personally, having been stuck in several passport control queues in recent years, I have to say it’s never taken longer than few seconds to pass through (apart from the two times I’ve been searched…). People just don’t seem to have their documents ready. Since there weren’t any technical delays at Eurotunnel over Christmas and New Year, at absolute peak times anyway, yet still long delays, the suspicion is that they were overbooked. That’s definitely something to keep an eye on. There were similar queues in Calais too.